WhatsApp Messenger is literally a nice instant messaging app and works even on 2G networks. It enjoys the base of over 800 million active users per month, over 700 million users in January 2015. Most of the Android users prefer WhatsApp to chat more than SMS. This is because you have to pay extra for SMS. On the other side, you can send text, media, documents etc. at the charge of data. WhatsApp also backs up the chat logs of the users every day. 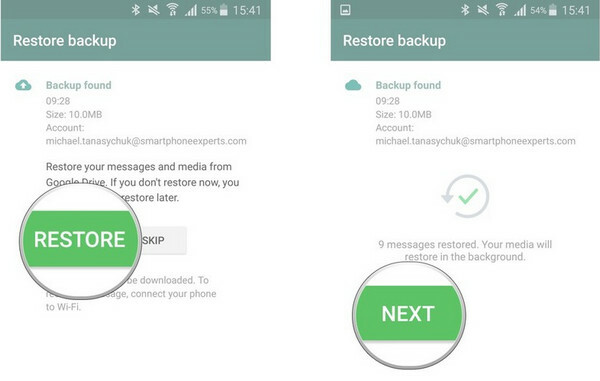 Keep reading to know tips and tricks to back up and restore messages on Android. For some users, keeping track of all the conversations they have with clients is very important. Though some concepts look rather useless to you, there are some that are quite useful to others. It is pretty simple to backup SMS to the local storage, cloud, or even sync with Gmail account. It is simple too in case of WhatsApp. 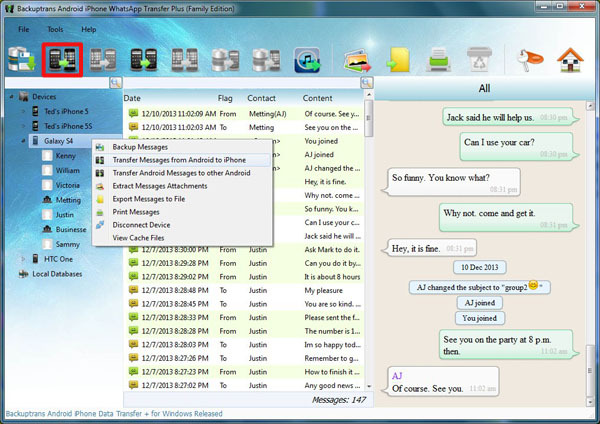 In short, all the conversations can also be transferred on daily basis and you can restore them all whenever you need. You can also back up your messages manually, instead of auto-backups on daily basis. 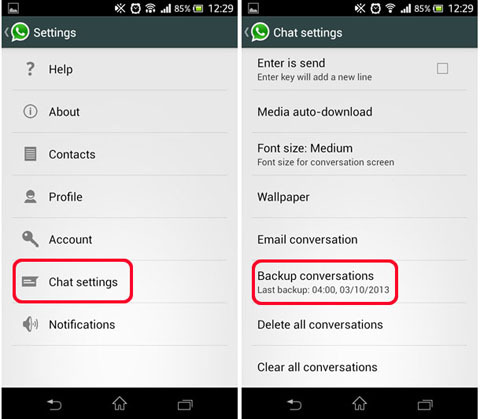 There are a couple of ways to backup WhatsApp chats and attachments. When you search in Google, most of people suggest following the official guide to backup WhatsApp data. The fact is that the official method is quiet dumb and no flexible as the one introduced in this part. If you used WhatsApp heavily, then I highly recommend installing Androidphonesoft WhatsApp Transfer, which is able to backup, transfer and print WhatsApp messages in a much more comfortable way. Simply put, you can backup all the messages or only the ones you care about. In addition, you can view or print the messages after backup. 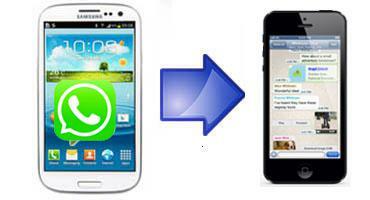 Another major benefit is that you can transfer WhatsApp messages between Android and iPhone. This saves a lot of time when you change the phone in future. The first step is download and install the program on a computer. Unlike other software, this one is capable of running on a PC or Mac. Click the right button listed above to install the program. Connect your Android phone to computer and turn on USB debugging on it. Then the program detects the device and scans all WhatsApp messages, contacts and attachments on the phone as you can see from the above screen shot. Right click on the device name (for full messages backup) or contact name (only back up WhatsApp messages for this contact). From the pop-up menu, there are two options for backup. 'Backup Messages' means saving the all the messages into a local database. The data can't be opened in this format. 'Export Message to a File'means exporting all the messages to a file, which you can view it later. Step 1: Open WhatsApp on your Android device. At the upper right corner, tap "Menu" button and choose "Settings". Step 2: It will give various options. Scroll down to select "Chat settings " and tap it. Step 3: Look for the "Backup conversations" option and select it. It will back up all the chat logs that are stored on internal memory. In order to export your backup, press and hold the "Contact" button. Choose "Email Chat". A popup will appear and ask you to choose "Without Media" or "Attach Media". You can choose any of these options whether you want to attach media or not with emails. Attaching media can generate larger message. The chat history will be saved as a text document on your email. Now you have backed up your chat logs successfully. Follow the above steps when WhatsApp messages have been accidentally removed. Step 1: Uninstall WhatsApp. Download WhatsApp again or find the last packages on your device and reinstall it. Step 2: Once installed, tap on "Agree and Continue" and provide your account details. Add your contact number. It will be verified through OTP. After verification, you can log in to your WhatsApp account. Step 3: If you have installed the WhatsApp application on your device previously, it will notify you that it has found a chat backup and ask if you want to restore chat history from there. Tap on "Restore" button to confirm your decision and application will recover your chat history from last backup. WhatsApp is designed in a way that you can transfer all your message threads easily to any android device. Basically, you have a folder named "WhatsApp" by default in either your SD Card or internal memory of your device that may be transferred to any device and you can restore conversations from there. * If your WhatsApp folder is located on the SD card, all you need to remove the card from source device, put it into the target device and install the app. When it asks to restore backup, all you need to click "agree" and you are all set. * If WhatsApp folder is located in your device's memory (happens with virtually all Nexus devices and tabs), copy the folder from one device and take it to another and follow the same method again. It is pretty simple to back up and restore your WhatsApp messages. These messages can easily be processed and you are rest assured to take your conversations with you on your WhatsApp if you ever change your device. At some point of time, you may want to change your device and you won't want someone else to read your messages. So, it is better to transfer it to another device.